PINCHAS ZUKERMAN 2018-2019 Season Highlights | Kirshbaum Associates Inc.
Pinchas Zukerman has remained a phenomenon in the world of music for over four decades. His musical genius, prodigious technique and unwavering artistic standards are a marvel to audiences and critics. Devoted to the next generation of musicians, he has inspired younger artists with his magnetism and passion. His enthusiasm for teaching has resulted in innovative programs in London, New York, China, Israel and Ottawa, and this artist is highly regarded as violinist, violist, conductor, pedagogue and chamber musician. Season 2018-2019 celebrates Mr. Zukerman’s 70th birthday and marks his tenth season as Principal Guest Conductor of the Royal Philharmonic Orchestra in London. In summer 2018, Cadogan Hall in London hosts Pinchas Zukerman Summer Music Festival, a 5-day event featuring series of orchestral and chamber concerts with Mr. Zukerman and the Royal Philharmonic Orchestra, as well as other artists including violinists Viviane Hagner and Fumiaki Miura as well as the Zukerman Trio, among others. He plays and conducts the Orchestra of Teatro di San Carlo and Verbier Festival Chamber Orchestra , and appears with Zukerman Trio at the Ravinia Festival, Rockport Music in Rockport, MA and the Highlands Cashiers Chamber Music Festival in Highlands, NC. Highlights of the 2018-2019 season include two European tours with the Royal Philharmonic and Rotterdam Philharmonic Orchestras, and concerto appearances with the Los Angeles Philharmonic Orchestra, Pittsburgh, Colorado, New World Symphonies and Gulbenkian Orchestra. Serving as both soloist and conductor, Mr. Zukerman leads the Royal Philharmonic Orchestra, National Arts Centre Orchestra, Toronto and Indianapolis Symphony Orchestras. 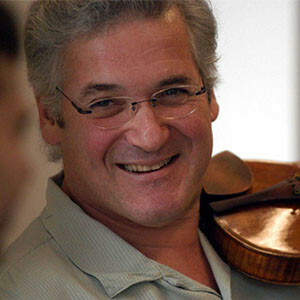 In chamber music, he travels with the Zukerman Trio for concerts at New York’s 92nd Street Y, Walton Arts Center, Troy Chromatic Concerts and Shriver Hall Concert Series; as guest artist, he joins the Jerusalem Quartet on tour in Chicago, Houston, Atlanta, Vancouver, Berkeley, CA and Ann Arbor, MI.